Miniature Huskies were created as a new breed of a dog close to 20 years ago. They look just like the standard version of this canine. However, they are much smaller and are known for being energetic, curious, but also a bit more reserved. Given their appearance and clear blue eyes, the mini husky variety is quickly becoming a favourite of dog owners everywhere. If you have decided to add one of these animals to your family, you would do well to know how to properly take care of it. Miniature Huskies came about in the 1990s after the breed's originator wanted to create a smaller version of the standard Malamute or husky dog. She bred smaller dogs of this breed to maximize the small gene in them, which could then be passed down to these dogs' offspring. In time, she created what is now known as the miniature version of huskies. Unlike standards, these canines are not as personable and robust. They are in fact quite small and more standoffish, which is why you are encouraged to start socialization of your pup from the beginning. They need to be taught to accept newcomers and to resist their urge to hide or shy away from people who they do not know. These canines are also smaller and more delicate than standard versions. They only weigh 13 pounds and could be more prone to illness and injury gave their size. When you want to give them a good first start in life, it may be important for you to keep their vaccinations updated. Taking your dog in for booster shots will help keep diseases like rabies away. Likewise, you are reminded to keep its coat well brushed and tangle free. This canine will have a finer coat than standard counterparts. The fur can get easily matted and dirty if you allow your dog to go without regular grooming. Matted coats often must be shaved and allowed to grow back, a process that can take weeks or months. You also could groom your pet at home if you wish. Many vets would recommend that you use a dog shampoo that has oatmeal in it. Oatmeal will protect your dog's skin and also prevent it from breaking out in a rash or developing problems like eczema. Most stores sell oatmeal-based shampoo for dogs. After you shampoo your animal, you can then brush it with a fine bristled dog brush. This type of canine can be high-spirited and energetic. Keeping it in a confined space could cause it to damage your house or break your belongings. Rather than allow its energy to be pent up in such a manner, it might suit you to move to a place that has a fenced-in backyard or a large property. You might also use a leash to take your pet on a run in the park. Huskies that are mini in size are popular with many people today. You may take care of your own pet by keeping these tips in mind. They will prolong your pet's health and happiness. This breed tends to have unique needs that differ from standard versions. 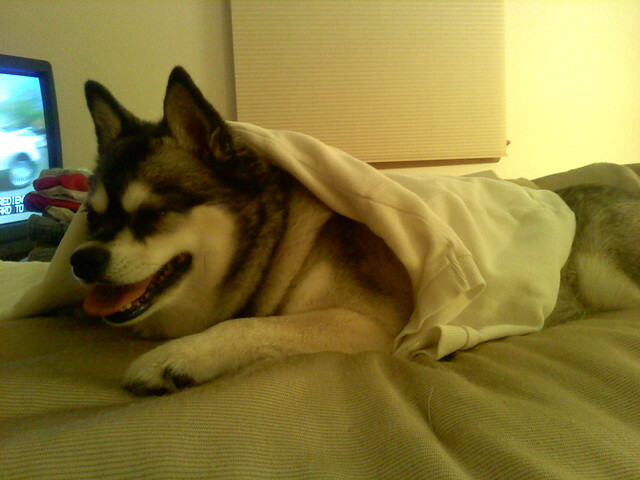 You can visit www.kikaskleekai.com for more helpful information about Mini Husky Care For New Owners. Alaskan Klee Kai is a small sized dog breed. It comes in three sizes - toy, miniature, and standard. The toy breed has a weight of 10 lbs. and height of 13 inches. The miniature breed weighs 15 lbs. and is 13 - 15 inches long; whereas the standard one is around 23 lbs with a height of 15 - 17.5 inches. It has symmetrical colored markings. It has a double fur coat. This dog has an average hair shedding nature; however, the shedding is heavy twice a year. Alaskan Klee Kai is popularly known due to its full facial mask which distinguishes it from other breeds. This dog is quite affectionate and loyal towards its owner. It is a very intelligent and agile breed. It requires lots of attention and would give off sounds when it needs attention. It loves to be a good companion to its owner. This dog is well-behaved around children as well as other pets with which it was raised. However, it does not like strangers much and will start barking when one is around. This dog does not make a good watchdog. You need to place a secure fence around the yard because this breed tends to escape by digging into the ground or by jumping over fences. The exercising requirements of an Alaskan Klee Kai are high. You need to train it a lot and socialize it at an early age. You won't have to worry about obedience training because this dog breed does well in it. However, you need to be consistent and firm during the training sessions. Adding a new four-legged family member can bring a lot of fun and excitement to it. It can also bring a lot of stress and frustration, especially if a new canine companion is exhibiting unwanted behaviors. Here are some tips that you can use to make sure that the first few days your mini husky spends with your family are as calm, relaxed, and enjoyable as possible. One thing you need to learn is the breed itself. Many people make the mistake of thinking that because these dogs are smaller than Siberian or Alaskan huskies that they need less care or exercise. This is a mistake. In fact, these diminutive canines need just as much exercise and attention as their full-size counterparts. The problem with these dogs is that when they do not get regular chances to burn off energy, they can end up becoming hyper and anxious. This can lead to other negative actions and behaviors. You may want to consider choosing a home or apartment where there is access to a fenced yard so that your new pup can roam and burn off steam. If you find that your new puppy seems anxious or upset, there is a good reason for this. Remember that everything about the dog's world has changed. He or she no longer has littermates around them. They are getting to know you just like you are getting to know them. It can be helpful to have a product such as a pheromone product on hand. This help relax a new dog and may make the transition into your family easier and more stress-free. You also need to remember that puppies experience everything with their mouths. They will also be teething and this means that they will be apt to chew anything they can get their teeth on. If you want to be successful at training them not to chew, make sure that you have toys that the dog can use to work out their chewing urges on. Then make sure you are watching them and are on hand to quickly correct any unwanted chewing sessions. Another thing to think about is a crate. This can help keep your new dog from getting into things while you are not around to watch them. You should also choose bowls that the dog can eat or drink out of easily. Grooming tools can help you keep your dog looking its best as well. If you are considering grooming tools, you may want to speak to a professional before buying anything. You should buy a good quality brush as well as a pair of canine nail clippers. By trimming nails frequently, you will get your dog used to having its feet touched and keep its nails in good form. Brushes can help keep this breed's coat from tangling and it will keep looking its best. Remember that there will always be an adjustment period when bringing home any new canine companion. By making sure you are prepared for its arrival you can increase the chance that your dog will become comfortable and settle in quickly and easily. Read more about Ways You Can Make Your New Mini Husky Settle In Quickly And Easily. A lot of people have dogs as their pets. These animals are often considered close companions to the family. There are numerous breeds that exist in the modern day, each one has its own special traits. Husky refers to dogs that were traditionally employed for pulling sledges. Northerners considered them distinguished for the fast pulling. Although these are not used entirely for these reasons in the modern day, they are still beloved by humans. They may serve as a domestic breed that people own as pets. The toy husky refers specifically to the smallest version of this breed. Typically, these dogs are athletic and high energy. They often have a thick coat that may range in colour from copper red to white, black and grey. Huskies are known for having pale blue eyes, although there are some with brown, green and yellow eyes. It is common for these dogs to have different coloured eyes, a characteristic called heterochromia. Originally this type of dog was bred exclusively in northern regions for the purpose of pulling the sledges and hunting large game. Nowadays, these are available in many regions of the world and may just serve as house pets. It is believed that these animals are direct descendants of wolves. This is considered a landrace breed and is often owned by indigenous people residing in the Arctic. Huskies are known for being one of the oldest breeds of dog. There are many different types, which are often named based on their origin: Alaska Klee Kai, Labrador, Mackenzie River, American Eskimo dog, American Akita, Canadian Eskimo dog, Alaskan malamute and more. There is a specific way of breeding that led to the development of these toy or mini dogs. It all started with a woman named Bree Normandin during the 1990s. At this time, she was carrying out selective breeding to make Huskies in compact sizes. Standard dogs in this breed that were smaller than normal were mated in order to propagate their genes so the small size could be passed on to offspring. The American Kennel Club does not currently recognize these small dogs as their own breed. Instead, it recognizes the variation in size among the breed. Generally speaking, these smaller dogs still carry the traits associated with the husky. These animals are good for families and extremely friendly, even with strangers. They are hard workers and players and known for being gentle. Toy huskies are typically bred to be no larger than 13 inches. Miniatures may fall more in the region of 13 to 15 inches. The standard size of a husky is typically between 15 and 17 inches tall. The small huskies are expected to weigh less than 40 pounds when fully grown. People can get these animals through various breeders, pet stores and shelters. The cost to purchase them will vary but may be more expensive than standard huskies or other breeds. It is important to do adequate research on this dog to learn what is necessary to keep it happy and healthy. Background checks on breeders are encouraged to ensure no foul play. A lot of pet owners may want smaller dogs for a lot of reasons. They are generally easier to care for and do well in smaller spaces. People who get toy huskies get all of the same attributes they like in this breed but in a smaller and more manageable size. If you are interested in adopting a toy Husky today, why not use the following breeder's website. Check out the gallery of the latest puppies at http://www.kikaskleekai.com. 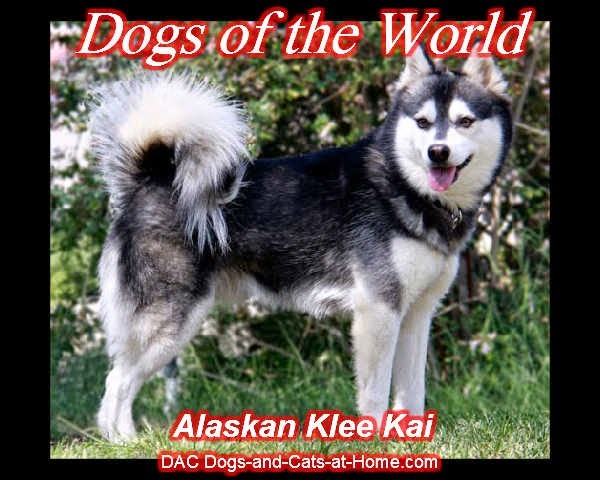 The Alaskan Klee Kai have been developed by Linda Spurlin during the early part of the 1970's in Wasilla, Alaska. After an unintentional mating between an Alaskan Husky and an unknown smaller dog, Linda Spurlin took a liking to this offspring. She ended up breeding a prototype dog that was suppose to act as a companion dog as she was so stunned with the good looks and size of these dogs. In order to reduce the size of these dogs, she developed this breed with Alaskan and Siberian Huskies - and also using American and Schipperke Eskimo Dogs in order to abolish problems with dwarfism. 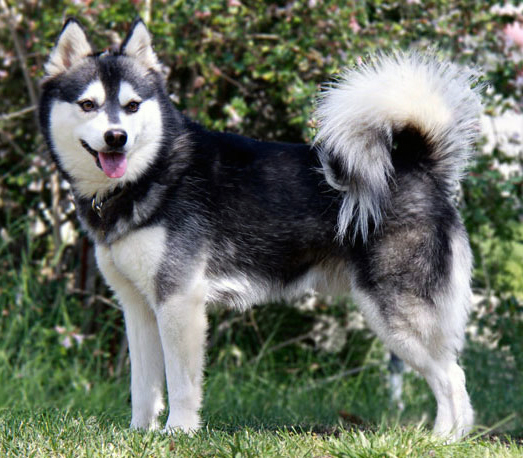 This breed was first known as the Klee Kai, but in 1995 the name changed to the Alaskan Klee Kai. Even today these dogs are fairly rare. The Alaskan Klee Kai seems to be very shy and wary of strangers, but will alert their owners by barking. These dogs are average guard dogs, and they will not attack someone seeing that they were bred to be companion dogs. But they are outstanding watch dogs, and will always alert you of something when necessary. 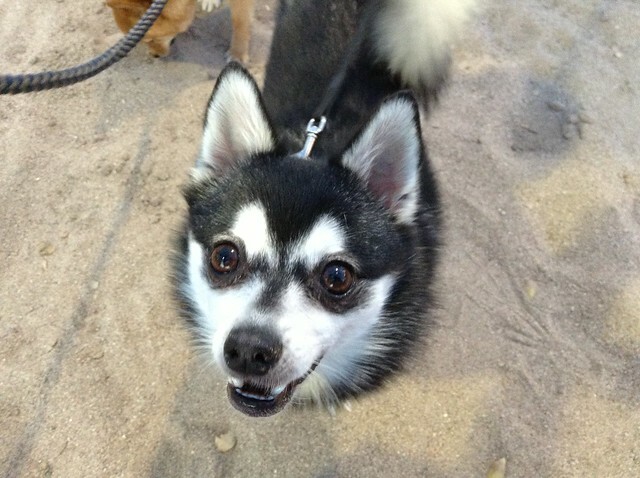 Alaskan Klee Kais are very clever dogs that are very committed to their owners. They love the attention and company of their families. These dogs get along well other pets and children they have been raised with. This breed is average shedding dogs, and will require a brushing on a regular basis. These dogs should not be bathed too often, only when it is really necessary. Make sure that you use a good shampoo to prevent possible skin irritations. Also check the ears of the dog for too much dirt, hair or too much wax build up. Their nails can also be trimmed to keep their paws in a good condition, and to ensure that they don't have any discomfort when walking. It is important to be consistent when training the Alaskan Klee Kai. The training environment should be fair and positive. This breed is very clever, but also very independent. Although they are compliant, they are not always obedient. But you will be glad to know that this gets better as these dogs get older. It is important to get this dogs socialised from a very early age onwards. Although these dogs are very tough, there have been some concerns uttered about an inherited bleeding disorder. Apart from this disorder, the Alaskan Klee Kai is fairly healthy.